You’ve heard of spiritual gifts–those special abilities the Holy Spirit endows, which equip us to serve others. 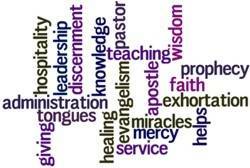 Teaching, prophecy, discernment, and healing are examples. Altogether, the apostles Peter and Paul listed at least twenty. May I be so bold as to suggest there may be a few more spiritual gifts than those listed in the New Testament? 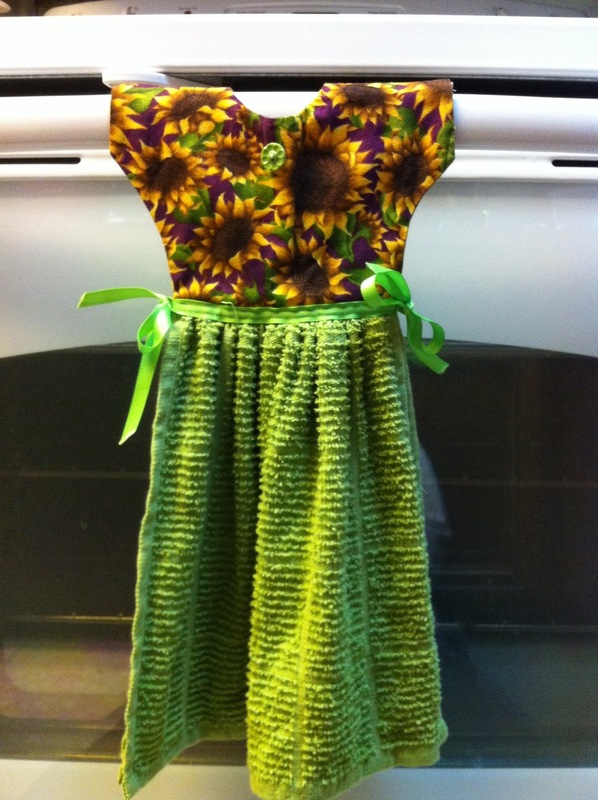 Donna and I were admiring a craft project created by a mutual friend–little dresses made out of dish towels, to hang over the oven door. I mentioned what fun it would be to make some of those myself, but I didn’t have a machine anymore. In spite of protests (“You can sell it, Donna.”), she was insistent. So I now have a sewing machine! In a world of greed and selfishness, such kindness is rare–except in the family of God where the spiritual gift of thoughtfulness abounds. All my friend, Grace, has to do is chuckle, and everyone nearby joins in. Hers is the most infectious laugh I’ve ever encountered. She also supplies plenty of material for laughter with her quick wit. You’d never know to look at Grace’s smiling face and twinkling eyes that she frequently suffers pain. A case of shingles that never went away completely continues to cause problems. But Grace never complains. How does she manage to spread so much cheer in the midst of suffering? It’s the spiritual gift of joy, I’m sure, bubbling up from a heart focused on Jesus. My husband, Steve, had just been released from the hospital, after a fever that defied explanation and aspirin. It finally broke, although its cause remained a mystery. After a few days he was released to come home. Meanwhile, while Steve was hospitalized, I suffered a brutal attack of stomach flu. The two of us were sprawled on couch and recliner when Barbara called. “I’m making chicken soup for the two of you and bringing it over this afternoon,” she announced. But Barbara didn’t buy it, and the delivery was made. NEVER have I tasted such savory, flavorful chicken soup. By the end of the first bowl I felt strength returning to my limp arms and legs. By the second bowl, I was ready for jumping jacks. OK, I’m exaggerating–but only slightly. That soup DID rejuvenate us! So, there’s the proof that the spiritual gift of chicken soup exists. If we want to be technical, I suppose these gifts and others could be categorized under those listed in scripture. Exercising thoughtfulness like Donna is surely an example of generosity (Romans 12:8). Dispensing joy like Grace is part of the gift of encouragement (same verse). And Barbara’s chicken soup may very well be a manifestation of the gift of healing (1 Corinthians 12:28). It’s true: “All kinds of things are handed out by the Spirit, and to all kinds of people! The variety is wonderful” (1 Corinthians 12:7, The Message). What unique spiritual gifts have you encountered? Share your story in the comment section below! I loved this! I would like to mention the gift of a smile. Last week I was walking through the grocery store and several complete strangers just smiled at me. That was all the act was, but it warmed my heart. Yes, indeed! We tend to downplay the value of a smile. After all, it’s such a small act. Thank you for reminding us about the power of a smile! …and the gift of affirming comments! Thank you, Heidi. You’ve mentioned some important ones to add to the list. I especially appreciated your comment out receiving AND giving–the blessing to enjoy by both. So true! Love these gifts – I can smell a fabulous series coming with this idea, Nancy. Wonderful idea. Thank you. Thank YOU, Diana, for the idea of creating a series about “new” spiritual gifts. That could be great fun! Aw, Nancy, what sweet words you wrote. You know what you said about the joy bubbling up is so true. Sometimes it’s as though my heart is a boiling pot and the joy is just bubbling up out of it. I have had that picture if it in my mind so many times and now you put it into words. There is a hymn that says, ‘May your love grow, may it overflow’ and that’s what I think happens. Kind of like the yeast of the Holy Spirit. That overflows too!! SO glad you didn’t miss this post, Grace! May many take encouragement from your joy-filled testimony. Love to you, dear friend. you have burst the doors wide for others to see their gifts. I have a friend who doesn’t think she is gifted. always makes me sad because she is a wonderful gardener who gives so much of her produce away. always giving but she never sees it as a gift. You present an important “service” we can provide: affirming the gifts we see displayed in others, as an encouragement and confidence-builder. Your friend, the gardener, is a perfect example of someone who is conducting kingdom business with her produce-giveaway, and doesn’t even know it! Thank you, Jean, for your insight! Nancy, you are such a blessing to me, and also pastor Steve. I missed you, and was so happy to receive your Blog. I was blessed to have my Granddaughter with me in the Sunday service. I ask God to use me to show her how happy I am to have a wonderful Savior, and Lord. Oh, yes. May she desire to know the Jesus that her sweet grandmother loves so much! Thank you, Tedi, for your kind words. Nancy, you are RIGHT, there are a myriad of beautiful gifts in this world, via the hands of our friends in Jesus. 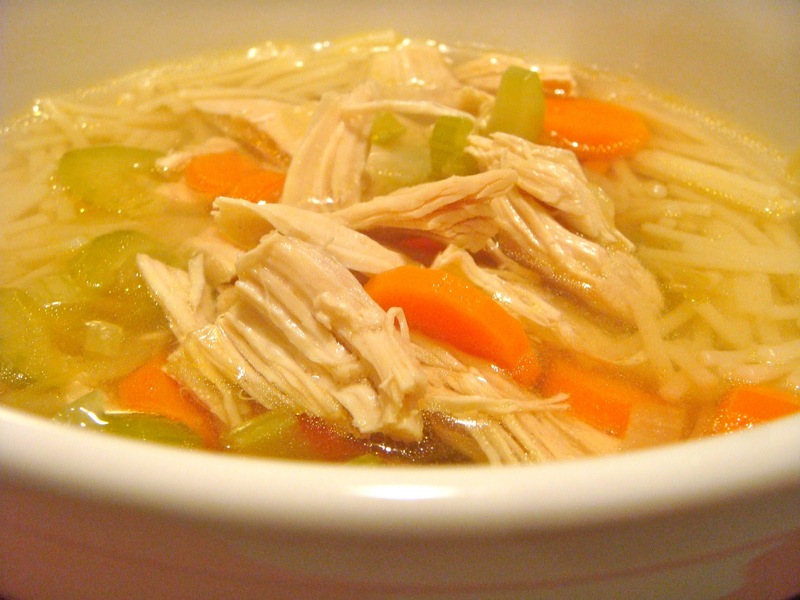 Once a month our home group has soup together, via our hostess with the mostest….oh, do we look forward to it! What a great idea, to have a soup fest with your home group. Nothing as satisfying and comforting as savory soup! Sharing it with others only enhances its cozy qualities. Thank you for stopping by, Jody! Blessings to you, friend. Praise God for the trickle down effect. Being a part of the flow is exciting, isn’t it? Thank you, Cheri, for inspiring ME! Your blog brings a thought me. I never believed I could be a caregiver or caregiver leader. However, God had other plans for me. I am truly blessed in this endeavor and get so much more than I give. I approached our Parish Nurse at church and told her we needed a caregiver group to help others in the same situation and she told me, I could do it. I immediately told her, I can’t do that. She assured me I could. She always gets a smile and reminds me of that day. Thank you again Nancy. The gift of care-giving is such an important one. And YOU have the additional gift of training care-givers! Let’s see…that would envelope at least six of the spiritual gifts listed in scripture: giving (time and effort), leadership, teaching, mercy, service, and helps. How about that? !